Health Benefits of Coffee | Are There Coffee Health Risks? From personal experience, most of the people I know cannot go a day without having at least one cup of coffee. Weather they buy it on their way to work, make it at home or have a coffee maker in their office, they’re going to get their coffee. Coffee is a way to jump start your day and get your energy rolling, but what are coffee health risks, if any? What are the main health benefits of coffee? Here we’re going to discuss coffee health risks and well as benefits of drinking coffee. Improve Energy – Coffee contains caffeine which can help you feel more awake and less tired. When you consume coffee the caffeine goes into your blood and straight to your brain. Burn Fat – Caffeine is often found in supplements to help you lose weight. Drinking coffee can help you burn fat and feel full. Physical Performance – Caffeine alerts your nervous system while increasing adrenaline in the blood. As stated above, it burns fat giving you more energy. It’s a good idea to drink a cup of coffee before going to the gym, giving you more energy, and you’ll be able to burn off the effects while there. Lowers Risk of Type 2 Diabetes – those who drink coffee have a low risk of developing type 2 diabetes due to its effect on insulin and glucose in the blood. Lowers Risk of Dementia and Alzheimer’s – Studies show that drinking coffee lowers your risk of certain diseases. This also goes hand in hand with maintaining a healthy lifestyle as well as eating well. Helps Against Depression – Drinking coffee helps lower the risk of depression, there are studies that show how drinking coffee not only helps lower the risk of depression but also suicide. Antioxidants – Coffee is high in antioxidants and those who drink a cup a day are reaping the benefits of drinking coffee on the regular. You could go so far to say that coffee has more antioxidants than fruits and vegetables. On top of the above side effects, if your body feels the effects of caffeine, too much of it, or drinking it too late in the day, may alter your ability to fall asleep. If you are someone who feels the effects of caffeine, it may be best that you stop consuming it, or regulate your intake. If you are in love with the flavor of coffee but could give or take the effect of caffeine, try drinking decaf! Coffee health risks can also be felt in the form of withdrawal. Those who consume coffee daily can build up a tolerance to the caffeine which leads to a sort of addiction. When individuals build up a tolerance they need to consume more to feel the effects of it. On the other hand, when those who drinking coffee regularly don’t drink caffeine they most likely will feel withdrawal effects such as headache, brain fog, being easily irritated as well as feel extra tired. 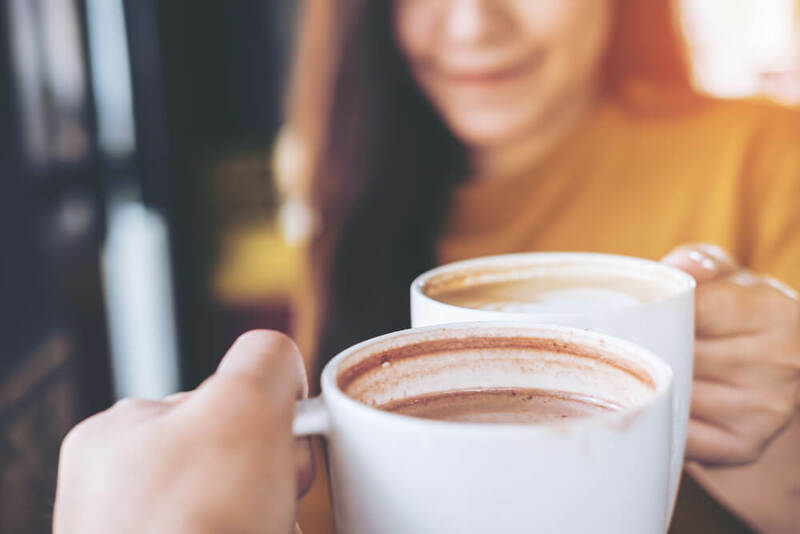 Coffee has more health benefits than health risks but when it comes to drinking coffee and the way it affects your body, remember everything in moderation. If you notice any negative effects, especially with anxiety or jitteriness, speak to a medical professional about how caffeine is affecting your body.